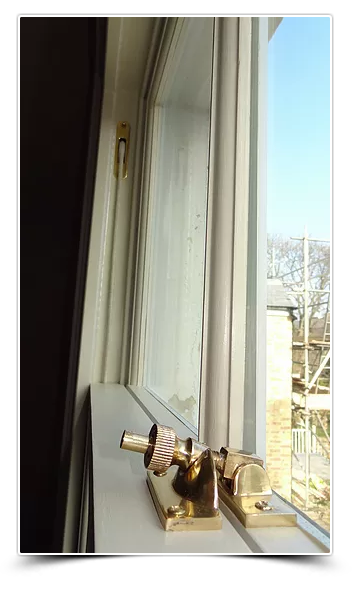 The London Sash Window Repair Service that Cares about you. Quality Work & Customer Care! Mortice & Green is comprised of highly skilled professional sash window repair experts, all with vast amounts of experience working with traditional wooden sash windows. We are able to provide not only high quality work but also excellent one on one customer care. We have a small independent workshop just outside of London that enables us to produce the best quality hardwood sash windows at very reasonable prices. The joy you will find as a customer of our sash window repair company starts from the moment we arrive to provide you with a quote. “It is the company proprietors who shall provide the quotes and estimates for work and it is us that provide the service and work to our clients, No sales people and work is never sub contracted out. We only ever take on enough work to keep our teams and workshop busy and content to ensure that we are never over stretched. In return we are able to devote our undivided attention to each and every project we undertake, leaving all our customers happy customers and we want you to be one of them too!